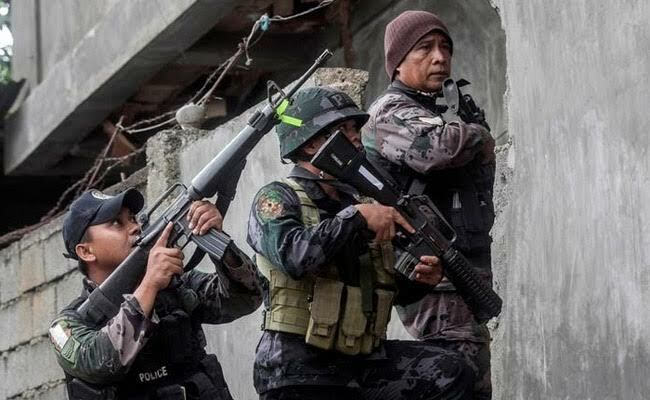 The 13 Philippine Marines were trying to retake Marawi city in an intense firefight with terrorists allied to the ISIS. Thirteen Philippine marines have been killed in the battle for Marawi city, a military spokesman said on Saturday, a setback in the government's quest to retake the southern town from terrorists allied to ISIS. The 13 marines were killed during an "intense firefight" on Friday as they were conducting operations to clear enemy positions, military spokesman Lieutenant Colonel Jo-Ar Herrera told a news conference. The deaths take the number of security force members killed to 58, with 20 civilians and more than a hundred rebel fighters also killed in the Marawi battles. The little-known Maute group has been a fierce enemy of a military with superior firepower and greater troop strength. The Philippine military has said the aim was to end the siege by Monday, the Philippines' independence day. "As long as we sustain the fight, as long as we are able to destroy the elements of the local terrorist group we can reach that," Herrera said of the June 12 target.